the bern-bremgarten track is (actually was) hold on public roads in a forest called "bremgartenwald" in the north-west of bern, switzerland. there were 14 grand prix races from 1934 to 1939 and from 1947 to 1954. in the seventies when a motorway was build, large parts of the historical track and also the huge grand stand building got lost. 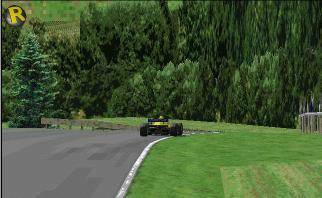 but turn 1 into the quarry section, eymatt- and tenni-corner still can be seen today. my track is an intermediate version with (as i call it) authentic track-layout/topology (the latter intentionally proportionally exagerated a bit), about ok scenery, and a few indications of objects. you may call it “base track for future versions”. 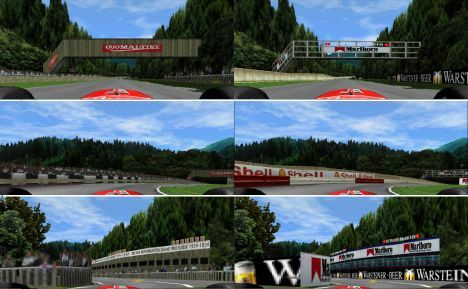 after driving “the bremer” with the wheel for some dozens of laps i guess in the bremgarten-forest even jacques villeneuve would become nervous. and i could give a few hints to shuey (M) where to drive into other peoples cars pretty much efficacious. the download packages include all files you need for a full install. those of you who already installed the original version of this track need to update the trackfile only. "magic-data" is a portion of parameters that belongs to a track but is originally located in the gp3.exe. but with the "magic-data" technology of Marc Aarts and Rene Smit we have this portion in the trackfile now. if you run gp3 with gpXpatch, the latter reads the "magic-data" in the trackfile and posts it into the memory of gp3 when loading the track. gp3.exe itself remains untouched. but you also can run this track without gpXpatch (preferably in slot 13). in your GP3JAMS\ directory and copy the jam-files from br36_sw.zip into it. then copy the trackfile f1ct13.dat to the CIRCUITS directory. if you’d prefer the track in another slot simply rename it. beware: you may want to save or rename your original f1ct13.dat before. 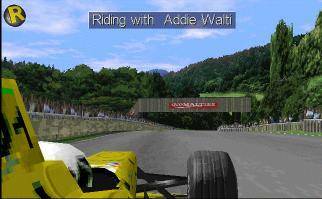 3 you may want to run this track in particular and gp3 in general with gpXpatch, as it offers a smoother integration of custom tracks (amongst many other great features). gpXpatch is available at http://www.xs4all.nl/~rsdi/ ; instructions are available there also. 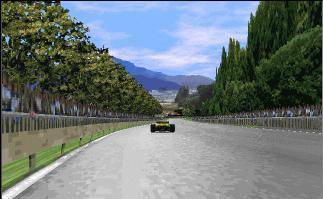 but the track runs also without gpXpatch, but preferably in slot 13 replacing spa. - not really a bug, but pretty often you will notice quite a massacre in turn 1 or in the quarry-section. i'm sure, this can be controlled, but its too subtle to properly figure out how, so far. so i'm afraid we have to live with it for the moment. special thank you to Simon Weber for the final tests !